Portage Co. Sheriff's Department, Stevens Point, WI. Prayers to your wife, children and the Cedar County S.O. May the Lord provide peace and comfort to you all. 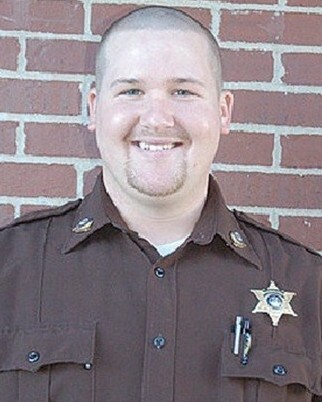 Deputy Chism RIP. Thank you for your service & sacrifice. Although being young and new to LE, you risked it all for LE. May God watch over your Family and all LE. You were welcomed by many others who went before you who also chose to "Protect and Serve." Rest well in the arms of God. Rest in peace Brother Matthew, may your family and friends find peace knowing that you are a true Hero and will never be forgotten for your service and courage. Rest in Peace Deputy Chism. Thank you for your service. My thoughts and Prayers go out to your family, co-workers, and friends. My thoughts and prayers go out to his family, agency and responding first responders. RIP Brother. I'll have my blue porch light on for you. My prayers and condolences to the family and friends... R.I.P. May you rest in peace. May God be with your family during their time of grief. Thank you brother for your hard work and dedication to the citizens of Missouri. Few will ever understand the Thin Blue Line and the challenges that we face on a daily basis. Heroes never die, they live forever. You have paid the ultimate sacrifice. You will forever be missed, both as a friend and as a brother in blue. Rest in peace my brother L.E.O. I hope in time your family and agency find peace in your passing. Evil will never prosper as long as brave men such as yourself stand for good. Thank you Deputy Chism for your years of hard work and dedication and for paying the ultimate sacrifice for the fine folks in the great state of Missouri. You are a true AMERICAN HERO !!!!!! My thoughts and prayers are with your family, friends and co-workers. May you forever, rest in peace, my brother. Thank you for your service and sacrifice. My condolences to your family, friends and coworkers of the Cedar County Sheriff's Office. May you rest in peace. Dep Chism, you will be missed our brother. Our thoughts & prayers are with Deputy Chism's family, friends, department and community. Rest in peace Brother Matthew. Matthew did his job with bravery all the way.